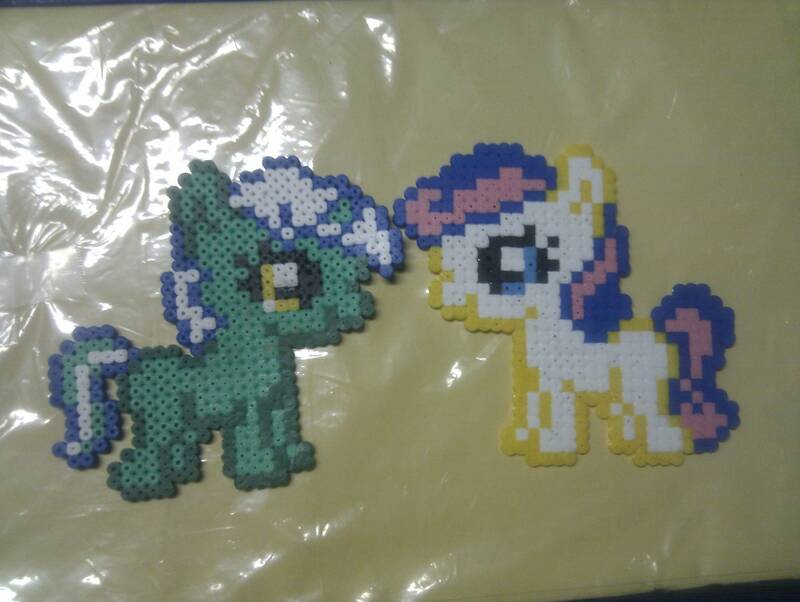 I found my Hama beads weeks ago, and the more I do pixel art with, the more I love that. Yes I had to change the comors, Hama palette is quite poor, bu it stills rocks IMO. I'll certainly post more later. Have you any Hama/perler pretty works here? I've made some before, it's fun indeed. lol, MLP was to be expected... tho I think you are showing the wrong side. Yeah, it's the wrong side. But I don't have those anymore, I send them to someone in the Netherlands. Ahh Pigmask! Looks nice, I've seen these around, but don't have them. Page created in 0.394 seconds with 42 queries.